A well-executed geometrical design of facets will reflect light both internally and externally, which maximizes the brilliance and fire of the gemstone. While faceted gems are familiar to every gemstone buyer, gemstone faceting is a relatively recent innovation in the history of gems. Simple faceted gems first made their appearance in Europe in the late 13th and early 14th century. Before the advent of the art of faceting, gemstones were fashioned as cabochons or carved. 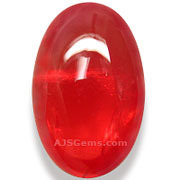 A cabochon is a gem that is cut with a highly polished rounded top, usually with a flat or slightly domed base. Historically, cabochons appeared first because it is a much simpler task to produce a cabochon than it is to cut a faceted gem. Cabochons are not really "cut", strictly speaking; rather they are simply shaped and polished. Today some gems are still fashioned as cabochons, particularly opaque stones and gems that display unusual optical properties such as chatoyancy (the cat's eye effect), asterism (the star effect), iridescence (e.g., labradorite) or adularescence (e.g., moonstone). With the invention of the horizontal cutting wheel in the late 1400's came the possibility of designing and executing complex geometric faceting schemes. But the technology to cut precise facets was only a part of the challenge in producing high quality faceted gems. Lapidaries first needed a design that was mathematically symmetrical. Then the cutting angles needed to be adjusted for the refractive index of a given mineral. Each mineral's unique optical properties will determine if the faceting produces brilliance and fire or extinguishes it. The fascination with geometry and reflected light during the Renaissance accelerated the development of a sophisticated lapidary art. Starting with the Renaissance gem-cutting trade in Bruges, then to Venice, Florence and eventually the whole of Europe, the management of light became the central theme in gem cutting. Development of the lapidary art was so rapid during this time that an early variation of the round brilliant cut was credited to Louis de Berquen, of Bruges, Flanders in 1485. The modern brilliant cut as we know it was not perfected until 1914 when a Belgian engineer, Marcel Tolkowsky, published a theoretical treatise on the ideal dimensions of diamond. Tolkowsky's document established the accepted cutting angles for pavilions, (41 degrees,) and crowns, (34 degrees). Interestingly enough, Tolkowsky never provided mathematical or optical proof that his angles represented the ideal. Tolkowsky's work was based on his diamond cutting production experience. Nonetheless, publication and acceptance of Tolkowsky's calculations mostly ended the experimentation that cutters had been making over the years in their search for greater brilliance. Because colored stone fashioning is a derivative of diamond cutting, the new theories and shapes quickly spread throughout the lapidary industry. However, unlike diamonds, colored gems are not just cut for brilliance. In the world of colored stones, color is always paramount. 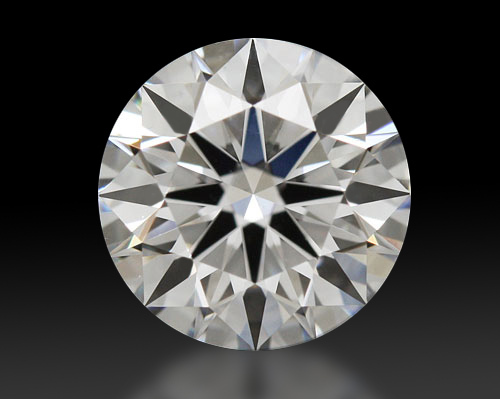 So the strict rules of the "ideal cut" for diamonds are often violated. If the color of the rough material is a little lighter than desired, a stone may be cut deeper to darken the color, and the converse is done for material which is on the dark side. It is one of the reasons why faceting colored gems continues to be more of an art than a science.